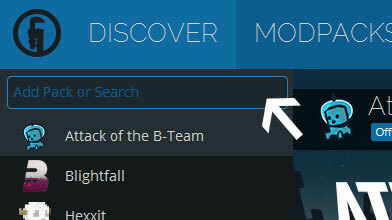 Type in the modpack name (Tekkit Lite) or paste the following url into the search box. Finally, click Install at the bottom right of the launcher after you select Tekkit Lite from the list on the left. The launcher will handle everything else! Applied Energistics is a Minecraft Mod which contains some basic tools, some electric tools, and an advanced storage system called ME that lets you store items compactly, and in the way you want. Applied Energistics - ME Networks provide: Simple but robust automation tools, and great support for working with other other automation mods. Includes a system which lets you create and use an automated crafting system. Ways to include other storage from other mods or the vanilla game. Lets you monitor your storage and trigger things via redstone. Ways to alter your setup on redstone signal. Save yourself a little time with wireless storage access. Throw a spear in a zombie's head! Cut a skeleton in half with your brand new halberd! Shoot some slimes in pieces with an old musket! And more! Over a dozen incredible new pipes for Buildcraft! Logistics Pipes is an extensive overhaul of the Buildcraft pipe system. It allows for better distribution of items via pipes, more organised stockkeeping and easier automated crafting. Thermal Expansion, at its core, is a 'tech' mod - it's a mod of what ifs. For example, what if you could turn water into ice or snow with a machine? Or how about a machine that could combine lava and water however you choose? What if there were a wool that didn't burn? Or, what if you could set up advanced yet extremely compact production chains that didn't require redstone engines or complex pipe routing? If any of that interests you, then you may want to check this out. This mod allows for you to enter a custom port, IP, and MOTD! I did not stop there. 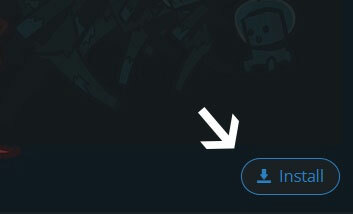 I saw the opportunity to add more features, and I did. Now you can edit almost everything you could edit on a normal, vanilla, server! I also added some basic options to get your LAN feeling a bit more like a real server. It's like starting a server, but with your own Single Player worlds, and with your own Single Player mods. This mod adds doors to Minecraft that open up to individual pocket Dimensions. In addition to these doors, it also adds several other features that help the player manipulate reality, forming rifts, linking dimensions, and even sending them to places they really should have never been. This mod allows you to transmute tons of materials into other materials. This mod adds many machines for processing ore and crafting. It also has a few other useful things. This is it. IC2, the future of IC. While playing it, you will feel right at home again, rediscovering most of the stuff known from IC. However, once you get your machines running, you will quickly notice how smooth and well-designed everything works now. Wiring is easier, batterys aren't as twosided (on/off) anymore, new cables, rubber stuff, new machines, EVERYTHING was added. Create obstacle courses of Metal Poles and Rubber-Sheets, explore the Nether with an Electrical Jetpack or blow up whole landscapes at once by using the Dynamite-O-Mote. Or discover the much more complex mechanisms of Nuclear Engineering, blow up your hut or burn your hands. Or grab the rusty ol Composite Vest, and start hunting Creepers with the new, allmighty NanoSaber. Adds several new blocks to IC2 to make your systems more effecient. Build item charging benches, energy monitors, and more! Combines large amounts of solar panels into single blocks turning your solar arrays into effecient small scale power houses. Nuclear Control addon allows you to build efficient monitoring and notification system for your nuclear reactor. Also you can use Howler Alarm and Industrial Alarm in any case when you want industrial-style notification/alarming system. Tweaks your inventory handling to be more intuitive. Break your iron sword in the heat of battle and don't have time to replace it? No worries, if you have another one handy in your inventory it will automatically be moved into the last slot it was used! Works with all stacked items! IronChests adds several new chests to the game. One for each type of metal. You can even upgrade them! Lumy Skin Patch repairs skins for Minecraft because Mojang no longer supports skins for No-UUID Minecraft versions. Lumy Skin Patch uses the current Mojang API to load the skin texture. A way to automatically farm plants and animals, as well some new rail tracks! With this mod you can set up a completely automated farm for any of these things that requires no real work aside from collecting the harvests and reloading the planter, without incredibly complex and unwieldy water/piston solutions. And you can milk cows to death or otherwise run livestock farms if you need those resources. Oh and it has conveyor belts too. Travel to other worlds with the lost art of the D'ni. Craft worlds to your liking, but beware of writing too greedily or too sternly, or you will face perilous instability! Additional NEI support for Buildcraft, Forestry, Tinker's Construct, Minefactory Reloaded, and others. This is a fairly basic mod. It makes the eight 'ores' - coal, diamond, gold, iron, lapis, redstone, sopper and tin - spawn in the nether so that you have a reason to go there. This is an implementation of something that I know a lot of people have wanted, a wrench that works on many different mods: BuildCraft (and Forestry, RailCraft, Thermal Expansion), IndustrialCraft, and all Universal Electricity mods as well. OpenCCSensors is an open source add-on mod for ComputerCraft which gives your computers the ability to retrieve information about the area around them. Easy power conversion between Buildcraft and IC2! Redpower by Eloraam is a mod for minecraft which introduces redstone-like wires, cables, integrated circuits, lights, and more. An amazing minimap display at the top right corner of the screen. Check out the thread above for a full list of all the features available with this mod. Advanced modular carts- have them automine, run your tree farm, or just create the rail network of your dreams! Chop down a tree with a single mighty blow! This is a small mod that adds two new blocks that I thought were missing, related to BuildCraft and RedPower. It's called TubeStuff because I don't have a better name - feel free to suggest one. The buffer could also use a less generic name. MachineMuse’s Modular Powersuits is a mod based around the idea of an inventor who tinkers with high-tech electronics and makes a suit of powered armor chock-full of useful gadgets and features. Inspired by heroes like Iron Man, Megaman, and Samus Aran, as well as by the high-tech armor in other mods like EE2 and IC2.